Harnesses are something we costumers deal with all the time. We normally use a few different styles of harnesses on the action pictures, but they are far from unheard of on everyday shows as well. A lot of the falls, jumps and tumbles often have harnesses involved. 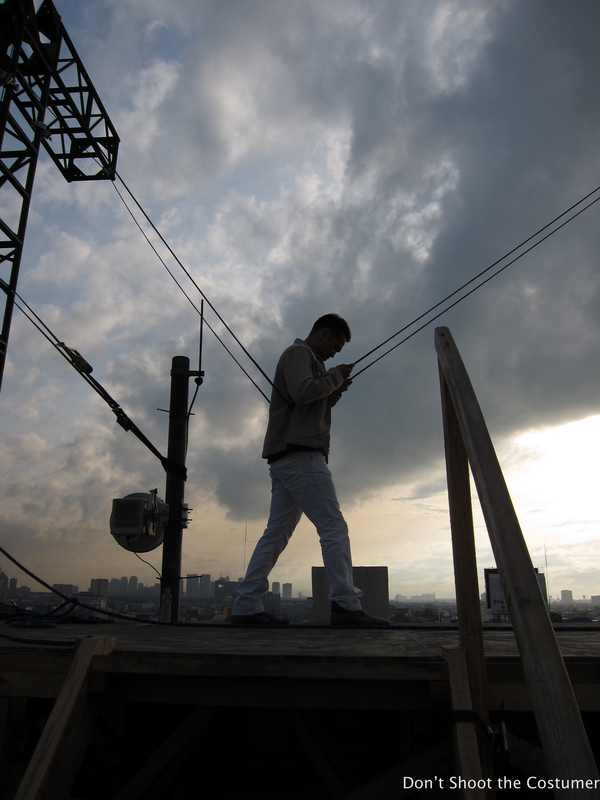 Last Tuesday on set we had a stunt double harnessed up to do a big fall. At the last minute it was decided to put our young actress in a harness as well for a close up. She was undeniably over the moon, I was not so! When we are in pre-production for the movie or episode, there are many meetings and conversations about each of the stunts for a show. What will the stunt be? Is there a harness required? Which type of harness are we using? Will we harness the stunt player and the cast? This is never a fun place to get to! Hanging out with Casey O’Neill and the Riggers on the weekend! Making sure it is all good to go! On bigger shows where the stunt player, stunt riggers and cast often work on weekends to rehearse the stunts for the next week, myself or another costumer will often be included during these rehearsals. What these rehearsals show us (costume department, stunts and the cast) is what planning, gear and alterations we will need to accomplish before we attempt the stunt on the day. It is always easier to test the harness on the outside of the costume before cutting! 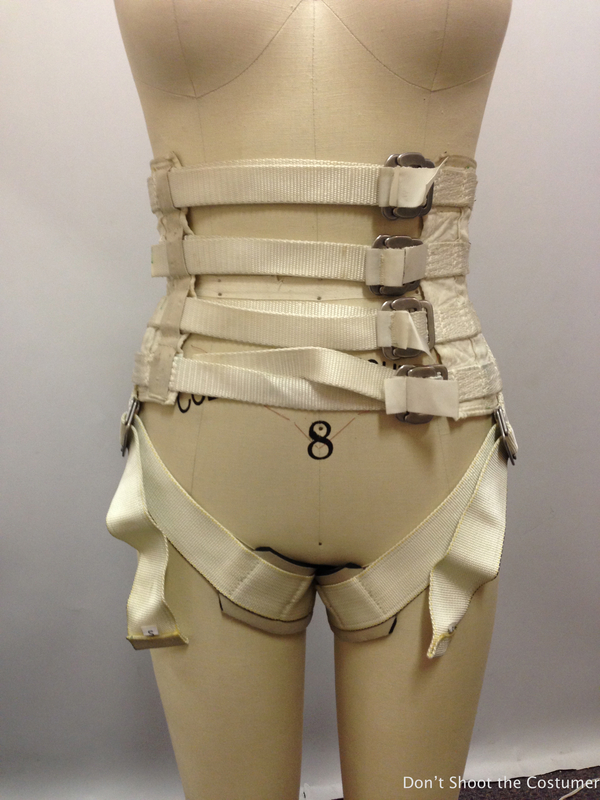 For us in costumes, we learn which and how many harnesses we will use, where the pick points will be for each stunt, what pads they will wear and what we need to supply in terms of additional costumes or costume pieces to fill the costume requirements. If you have cast involved, they will also be able to see things like if their shoe grip is good enough or if the support in the ankles is sufficient for running, jumping, etc. A little stunt rehearsal never hurt anyone! I am also able to assess what extra bits I need to bring to set on the day of shooting (e.g. : special shoes, pants in various sizes, jackets with lining removed, multiple clothing pieces… ). The last thing we want to do is to hold up camera because things need to be sent from the base camp/circus. If we are building costumes for a special part in the movie, like we did for Mission: Impossible -Ghost Protocol, then watching the rehearsals beforehand allows me to bring all the information to the cutter and we can talk about what is needed to complete the stunt. For our hero outfit, we were able to build the vest with tucks, seams and holes to be used for different sections of the stunt. 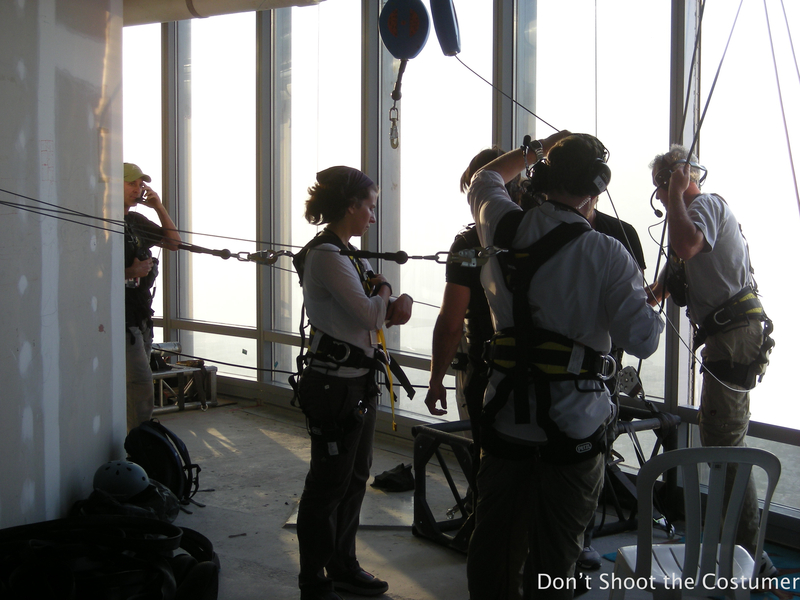 I had five different vests and four different harnesses to work with during the scenes outside the widows of the Burj Khalifa on MI4. Depending on the position needed during the sequence we were able to change the harness and the vest, which allowed me to minimize cutting into the garments when we used different pick points. Neither heat nor sweat nor sand storm will stop me from getting the costume ready! We also had to consider camera angles; we had a vest that was built specifically for face-on or front angles, and a vest for shots from behind. During my prep, or even if it just the day before shooting a stunt, I try to talk with the stunt coordinator or stunt riggers. Normally stunts/gags like these have special equipment that will have to be brought in like cranes, pulleys, ladder rigs and so many other things. A clear conversation should be sufficient to help you dig out the info you are looking for, specifically, what additional gear is needed from costumes, what harnesses will be required for a crane or a pulley, what the action will be, and whether just stunt performers, cast or both will be required to be rigged up. Louis Ozawa Changchien, from Bourne Legacy. We had dbl front and dbl back picks on him…. Stunning shot in the twilight! – How many multiples of the costumes are there, and what will we need to use? – Are the costumes, going to fit over the harness or harnesses? 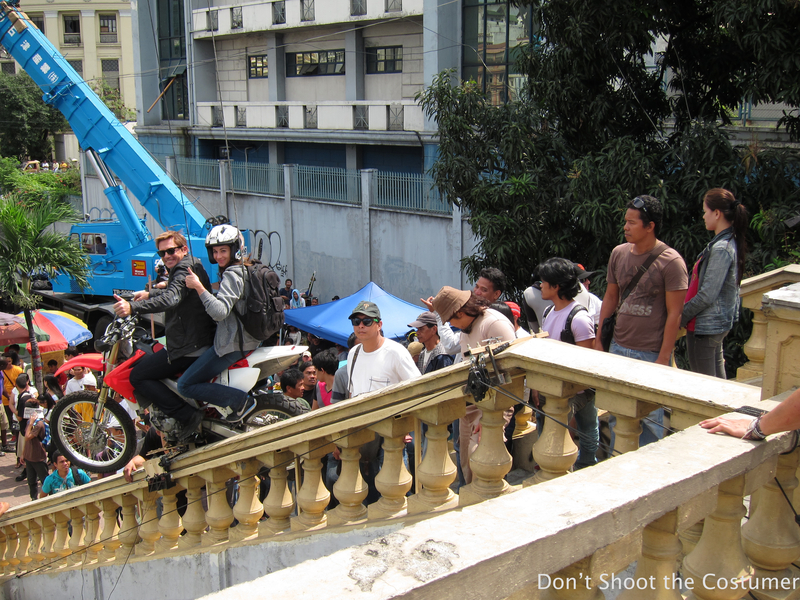 – After the stunt, will the costume be able to be made camera ready for the rest of the scenes? – Are we harnessing just the stunt player or is the cast member also in a harness? – Where are the pick points going to have to be cut? We have a few different styles of harnesses to work with that are pretty standard, although specialty harnesses can be built for special situations. There are jerk harnesses or full body harnesses, hip harness, Hong Kong harness, corset harness, and waist belts (these are only used to support an actor). 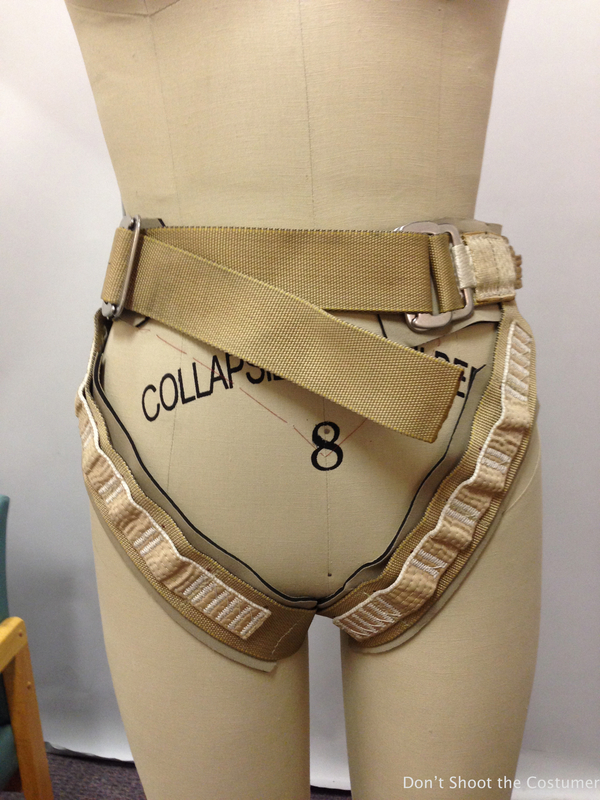 We can also add leg straps and other pieces to an existing harness. Full harness or jerk harness. This is the ladies style, the mens will have a full chest. Corset, this would be used under costume that the arms are exposed to create a smaller line. 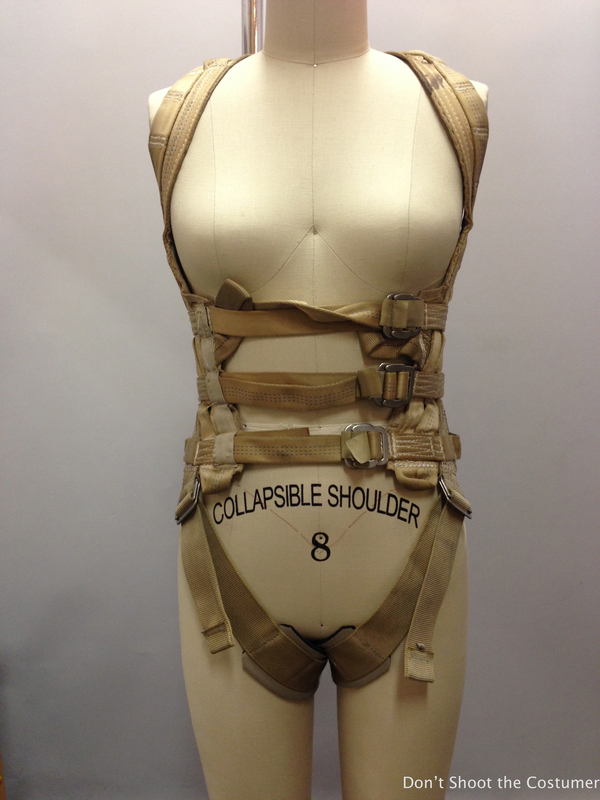 Depending on the stunt, the harnesses needed, what the costume is like and where the pick point are, can be the difference in how many costumes you will have to set aside for each stunt. 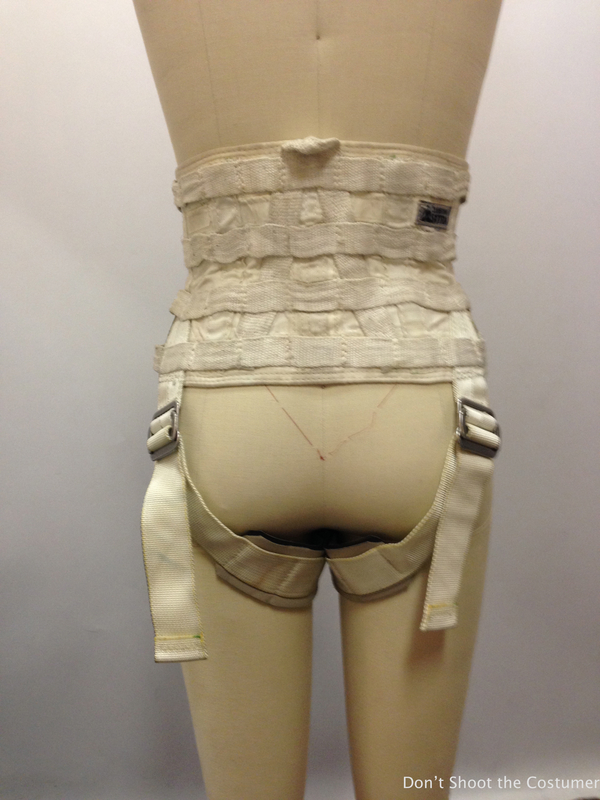 Pick points: pick points are the loops around the harness that allows cables to be attached to the stunt player or actor. Depending on how the actor needs to fall or be pulled to fly through the air, the stunt coordinator and the riggers will be able to plan out where to place their cable lines. Stunt players harnessed and wired. Remember that some pick points on harnesses are moveable. 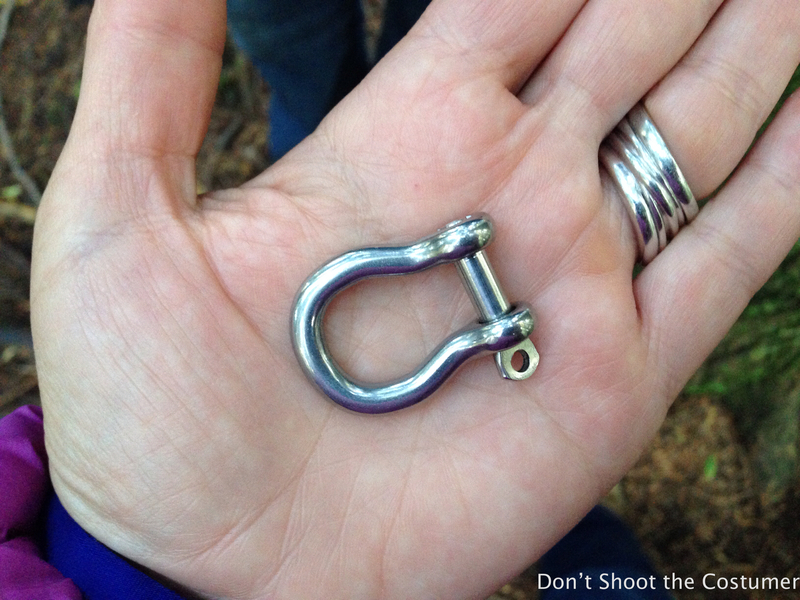 If you are trying to find the perfect place to cut, take a look at the pick point; if you are just one loop back or forward from being able to go through a pocket or a seam, ask the rigger or stunt coordinator if it is possible to move the shackle (the shackle attaches the cable to the pick point on the harness) without affecting the action. One of the many pick points, loops in the vest to be used to shackle the cables to. I find that stunts and riggers are always willing to work with you, and if it is at all possible they will happily help you to move things around. But sometimes for safety’s sake you have to work with what you’re given. Remember asking is always an option! 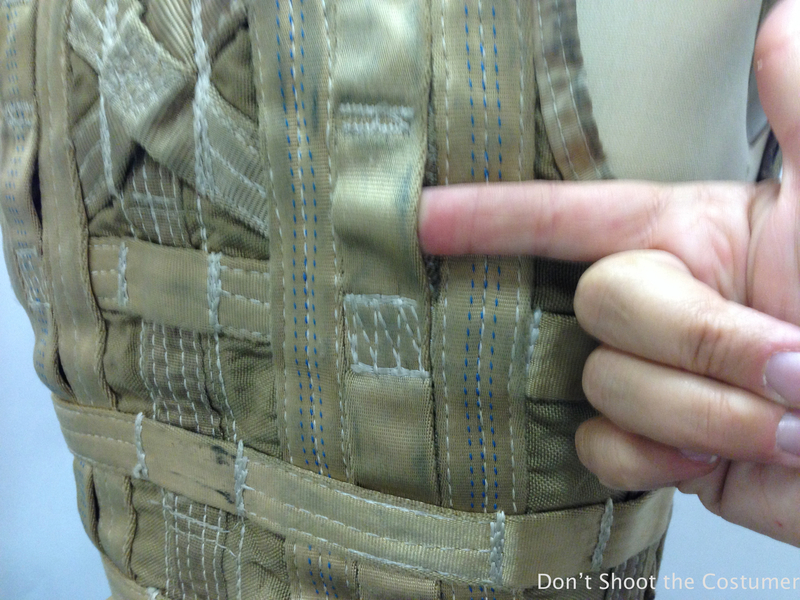 Pick point through the yoke seam on the jacket… easy fix when the stunt is done! Jacket saved to play another day! So you know where the pick points are, the costume is on, and you are ready to cut… is there more? If you weren’t there for the rehearsal, ask the rigger which way the pull in going to happen. Are they are being jerked straight back or being pulled upwards first? Are they twisting to the side or is the fall happening headfirst? 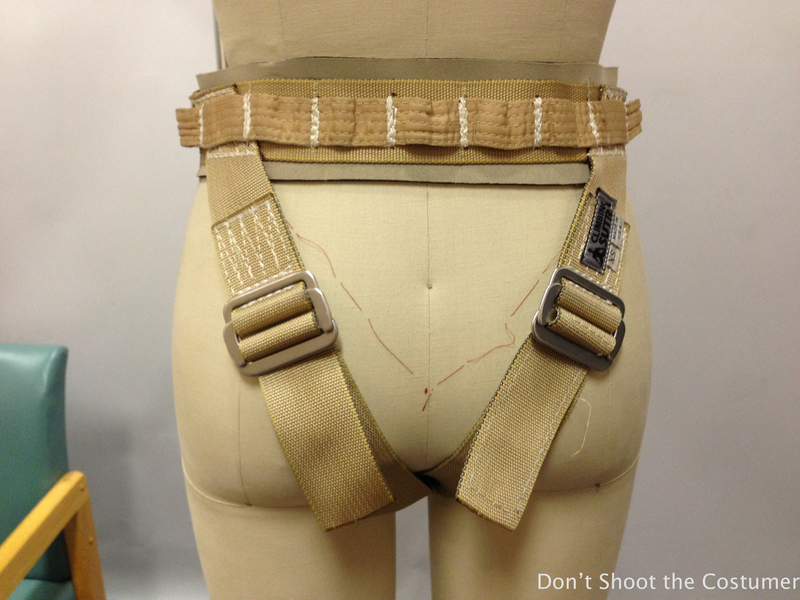 Note the cable coming from the side, attached to the side waist point on a full harness. These may seem like funny questions but this will allow you to cut enough ease into the costume to help stop it from ripping. If you cut a hole in a costume that is only just wide enough without considering the motion the performer’s body will have to go through, it is possible that the costume will rip in the direction of the pull. This could leave you a large and not so fixable hole. Building in a cut line or pulling some fabric loose around where the cables are attached will give you ease of space to help the costume stay in one piece. Working with harnesses on set is a walk in the park! 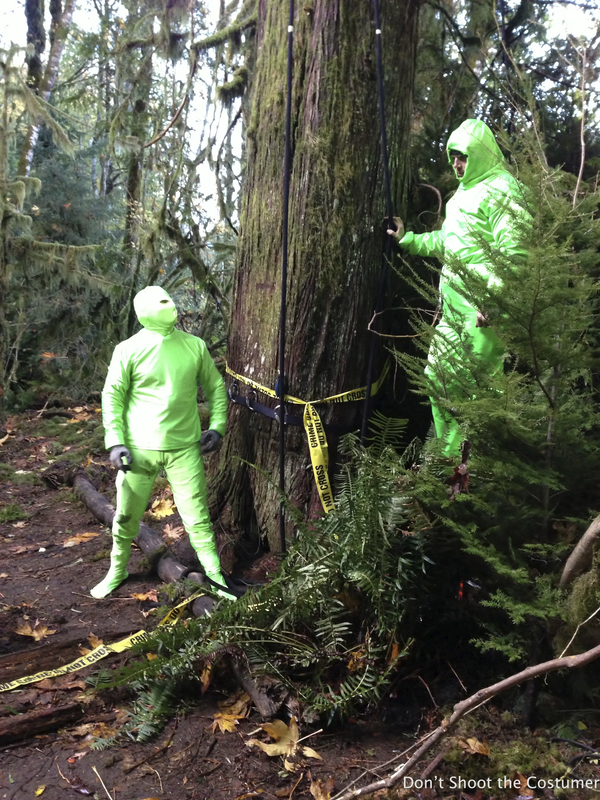 If you have the right information and are able to ask the right questions, then everything will be as easy as falling of a log… as long as you have the right harness for that! 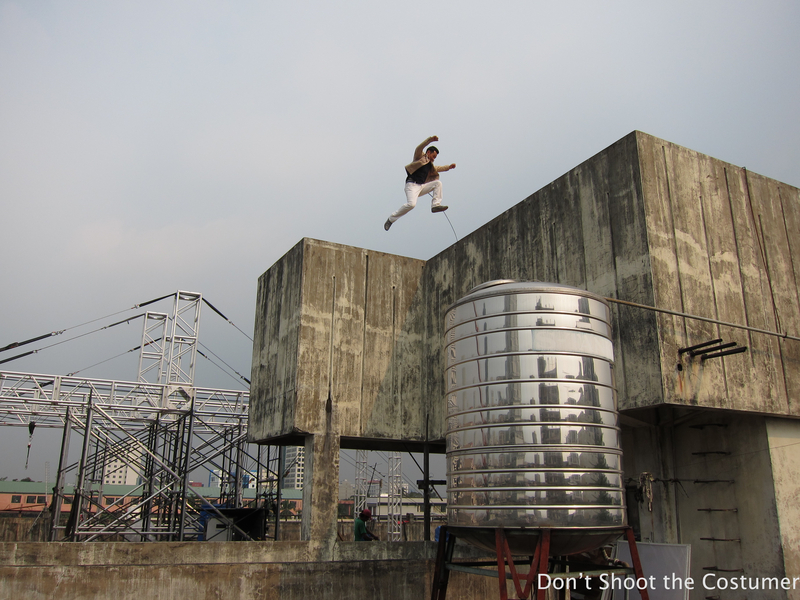 Stunts can be a challenge for us costumers, but they also make the day so much more interesting!! 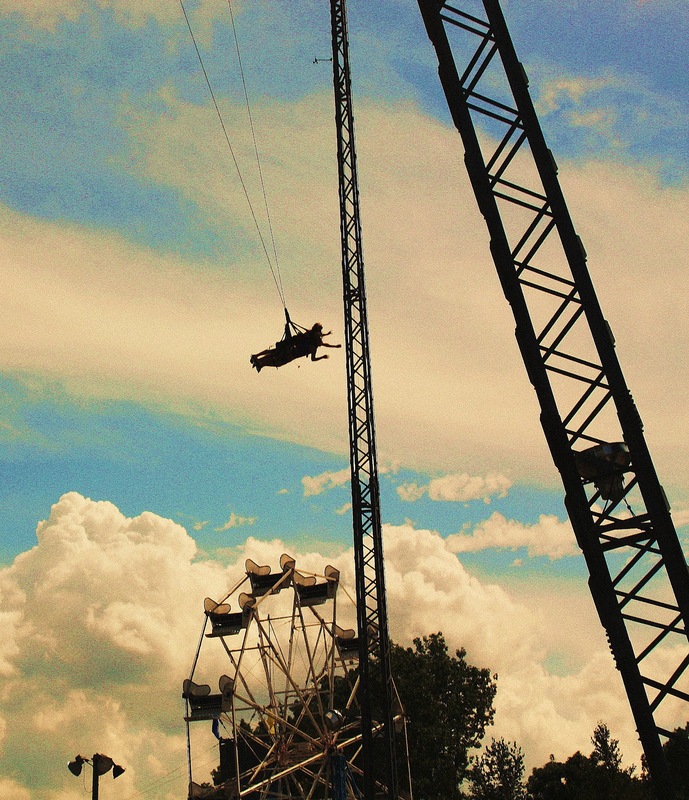 Until next time… Keep hanging in there! Don’t for a minute think that actors are the only one in a harness. 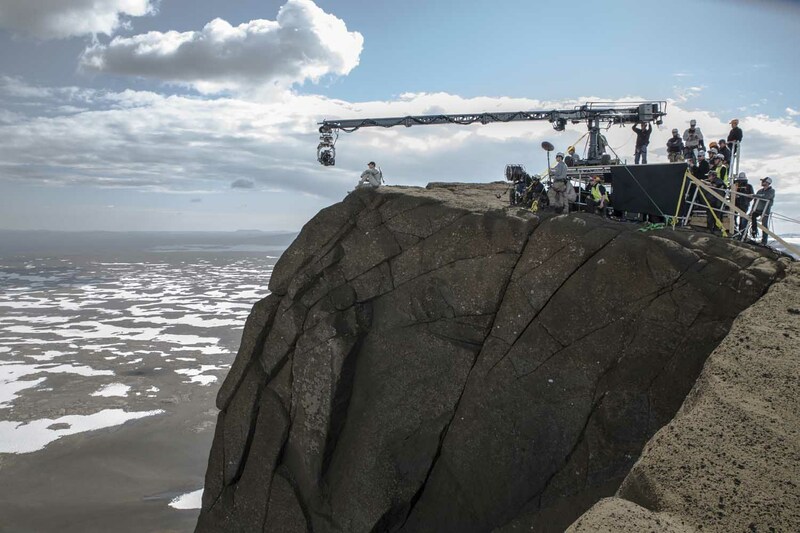 Remember where ever the cast are the crew must follow… Or else you would just have a guy on the edge of cliff… not a movie! Hey if you got ’em share ’em! Send some of your stories of the best or worst harness rigs, and what you did to make it work! Looking forward to some wonderful new ideas! Had to add this one! 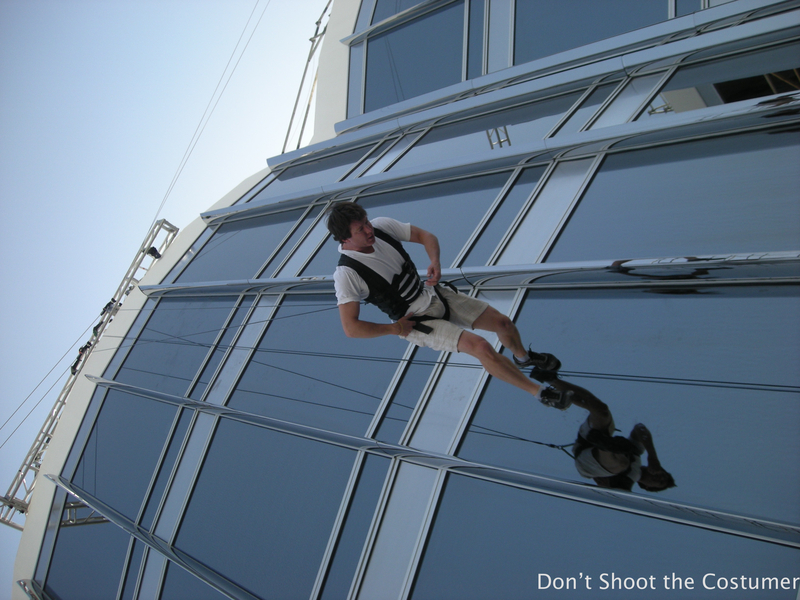 Sometime the stunt riggers are just plain in the shot… guess what we costumers often get to deal with this as well! Green screen anyone? This entry was posted in Technical Awesomness!, The whole Sheblog!, Think and wonder! and tagged actors, costume, costume department, costumer, Cosutmers, film set, filming, harnesses, knowledge, movies, skills, stunt, stunt riggers, understanding, Wardrobe, Wardrobe Department by dontshootthecostumer. Bookmark the permalink.